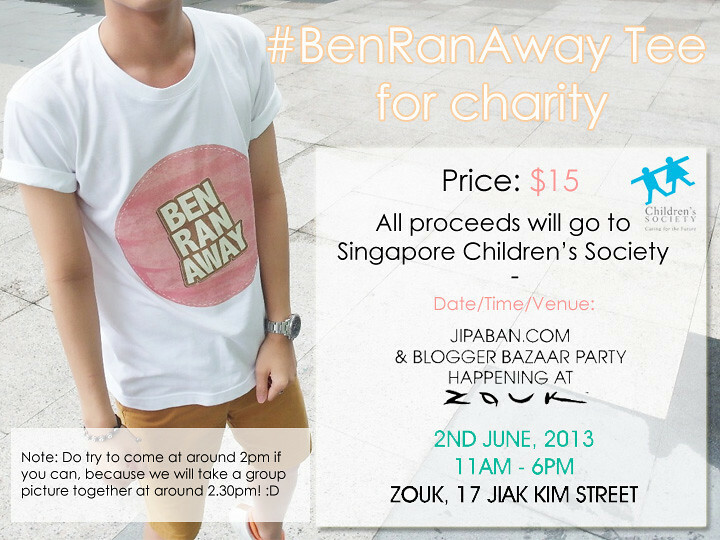 Selling #BenRanAway Tee for Charity this Sunday! I always wanted to do something meaningful together with you guys, where we contribute back to the society. I mean for people like us with decent amount of followers and with people who likes us (I'm ignoring those who hates us lol), we really can do something together which will help or benefit the society. Instead of keep receiving, we sometimes have to give back too. I'm not being pretentious or whatever here, because it's something that I wanted to do really really long ago but didn't had the chance to do so. Few years back, I had this idea of having a photo-book where I will collaborate with a publisher and all the money from the sales of the photo-book will go to charity. Or going to old folks home with a bunch of you guys to do some voluntary work together. But sadly, it all didn't happen because it needs alot of planning and stuff. You can ask the people around me because I've been mentioning about all these all along, even to clicknetwork, when they ask me what kind of show I would wanna do when I went for casting. And of course to Nuffnang regarding the photobook and stuff. But I'm really happy that now, it's finally coming true that we can all do something for a good cause together and contribute back to the society! So this time round, we will be selling #BenRanAway tee shirt which the logo is designed by Ran and we also collaborated with Ministry of Print to help us with the printing of the t-shirt! And I must say that they are really very professional and I've seen the sample of the tee and the quality is really really good! I'm super happy that they agreed and do this together with us because even though the sales of this t-shirt is for charity, I also want you guys to get something of a good quality and value for the money you have donated! And after seeing the sample, I can only say it's really really worth it! The quality is really good! I even think that with such a quality of the shirt and the print right, can really sell outside at like... $30 or $40! But for our #BenRanAway tee right, it's for charity, so we try to do whatever we can within our limits and I know many of you guys are still schooling, so we decided to set the price at $15 for the t-shirt! NOTE: NO AGE LIMIT! I REPEAT, NO AGE LIMIT!!!!!!!!!!!!!!!!!! Lol! I just anyhow edit and do up this because it's easier to show the details of the flea! Yes, all the proceeds will go to charity and we will be doing a video of us donating the money to them to let you guys know we really donated the money and not keep them lah. And we only have a limited quantity of 100 pieces for the t-shirt!!!! But it should be considered as only 98 pieces of t-shirt because both me and Ran will also use our own money to buy the t-shirt for ourselves too!! Hahaha! I might also bring some of my clothes (be it new or old) there to sell it at like maybe $2 or something! So I'm really excited to see you guys there okay!!! 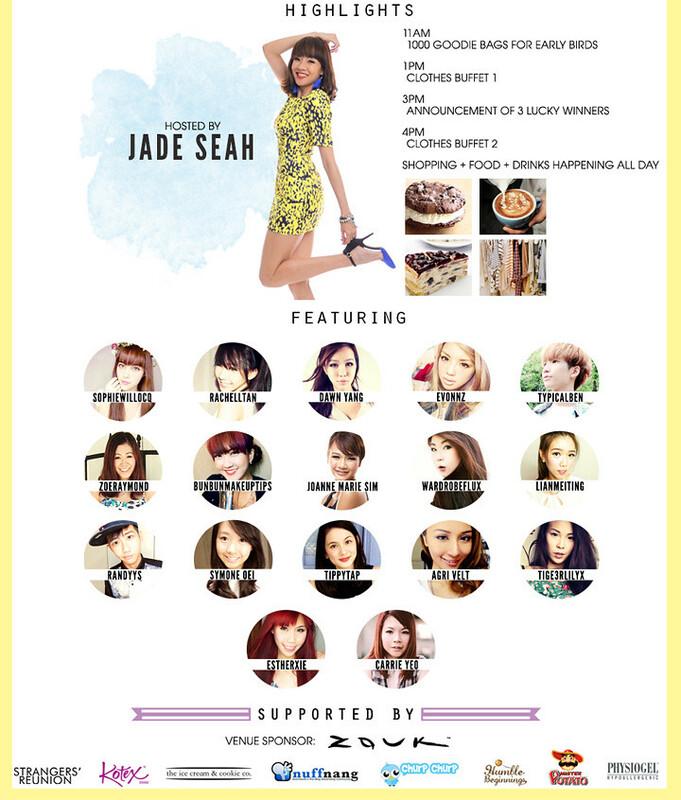 Must come hor!!!!! Ah Ben faster blog about your Taiwan trip lah! Miss reading those Taiwan's post! Ben, do you sell this shirt?